Home » Stories From the Front Lines » It’s “the best of times” for RPA. Here’s why. How can human and digital workforces work together? What happens as RPA becomes increasingly cognitive? 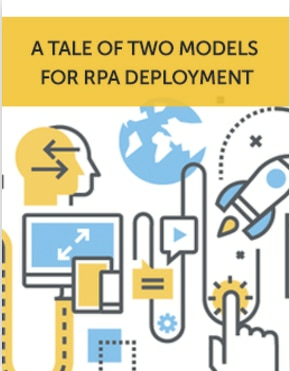 What is RPA in the first place? Once one moves beyond the first blush with disruptive technology like robotic automation and AI, practicality sets in: how can it actually be used? And can it yield the expected results? HfS recently authored a PoV piece about the fact that companies—particularly SSOs and service delivery orgs— have moved beyond the hype of robotic process automation and now are “settling in” to using it, and more importantly, realizing the impact on business. Now it’s time to understand more about deployment within an enterprise.